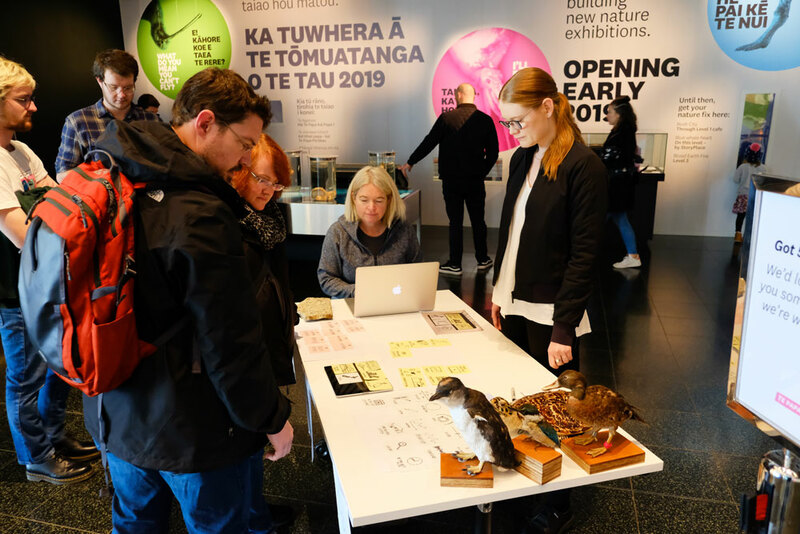 ‘We just want other people to be able to do this!’ User experience designers Kate Wanless and Karyn Brice talk about how they’re using a user-centred design process to create an earthquake interactive for the new Taiao | Nature zone coming in 2019. 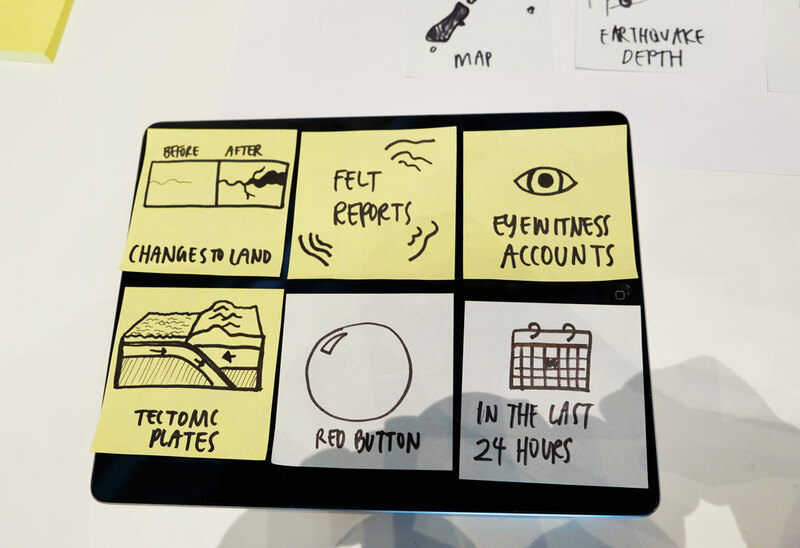 Karyn: We’re designing a touchscreen interactive about earthquakes in New Zealand. Kate: We’re combining data with real-life stories. Karyn: We wanted to find out what our visitors were really interested in, and we did this by getting them to make their own interactive. If you ask someone to design something without giving them enough input, people don’t have enough information to come up with good responses. We wanted to put a range of content in front of people to make it really easy for them to tell us what they wanted, and also for it to be a bit fun! Karyn: You give people ingredients and they’ll make some kind of meal! Kate: We had about 20 people take part in this over three days. Karyn: We did it over the weekend as well so we could capture a slightly different audience. 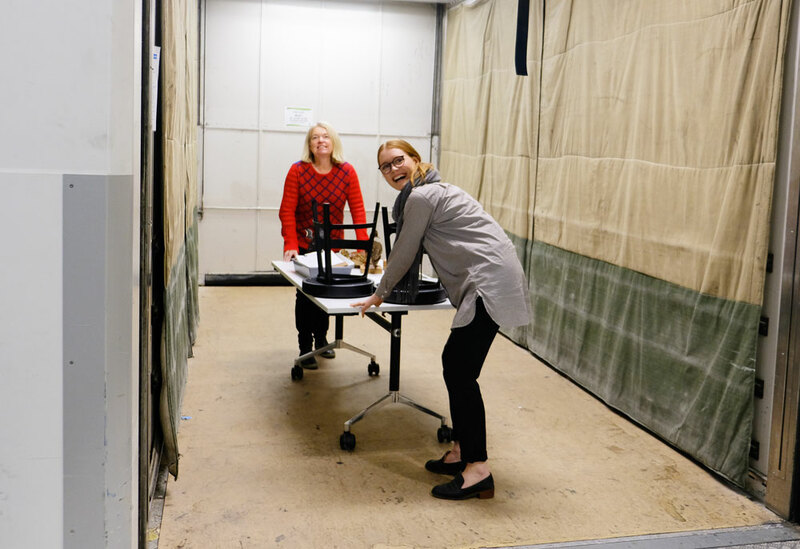 Karyn: Once people feel like they’re assembling their own experience, they actually can’t stop talking about it. You get this amazing insight into their mind, the way they think, and I don’t think you could actually set that up in a workshop. It created a really natural pattern of conversation between us and the visitors, and it raised some questions we would never have thought of asking. You could say the design we’ve come up with was created by the visitors! Kate: I think what we put in front of people is just a platform for a conversation. It might not be a perfect design, it might just be a sketch, and it doesn’t really matter if it works or not – it just has to start a conversation about the topic and if it’s interesting. Kate: After we gathered all the information we did a tally on the types of content that people selected. What we could see is that there was an even spread between people being interested in data and science, and the impact on people and the physical environment – these areas will also be focused on in other areas of the exhibition, but we needed to figure out how to get the balance right for this particular interactive. Lots of people picked ‘The Red Button’ – it was a wildcard, we didn’t know what it was supposed to do. But a surprising number of people picked it. Probably because it’s fun. What we took from that is we do still need to include elements of playfulness in the interactive. We do literally want to include a big red button. Karyn: We also talked to Hosts about what they had found out was of interest to people. They said that everyone has an earthquake story. And for the people who haven’t experienced an earthquake, they really want to know what it’s like. Why is it important for others to use a user-centred design process? Kate: We wanted to share this because we think people should be doing this process more often. It’s actually quite straight forward. Karyn: It’s easy but it’s also putting the view of the visitor into the interactive. Kate: It’s important to do otherwise you end up with interactives that aren’t engaging and don’t make sense to people. You don’t have to finish your design process before you go out and test. You can test before you’ve even started the design – just with sketches and wireframes. 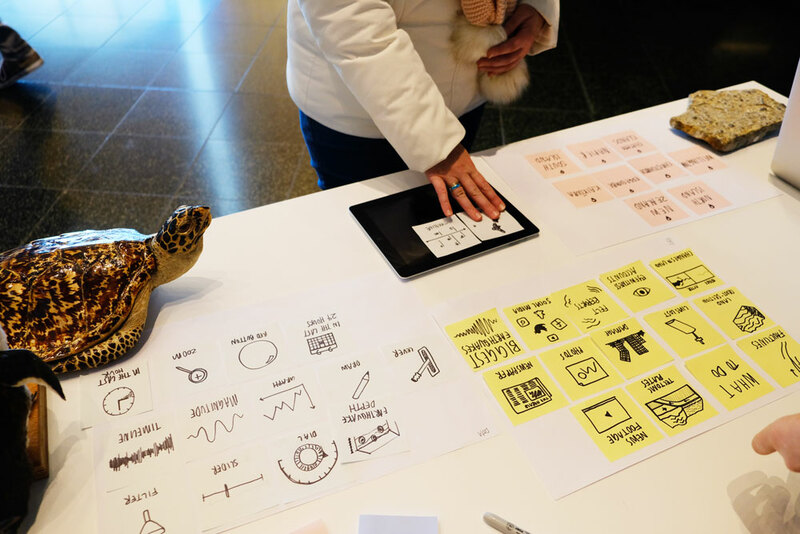 It’s important that you involve visitors at all those different stages to steer you towards a design that’s going to be interesting and usable for people. We just want other people to be able to do this! The insights you get are so valuable, and visitors love being involved in the process.